In the forex market, American dollar gained again the euro after mixed economic data. According to Commerce Department data, bookings for long-lasting goods advanced 3% after rising 4.3% the prior month, this is the biggest back-to-back gains in almost a year. Figures from the Commerce Department showed Purchases of single-family properties decreased 2.2% from the prior month to a 307,000 annual pace. Latest report released by Conference Board indicates that the U.S. economy will keep growing, the index of leading indicators rose 0.4%. Data from the Labor Department showed jobless claims rose by 21,000 to 377,000. Even though there are some improvements, the Federal Reserve is still cautious. In its latest statement the Fed said “Strains in global financial markets continue to pose significant downside risks to the economic outlook”. The forex market investors shifted their interest to safer assets. Uncertainties in the global economy have been increasing the demand for gold. The commodity currencies have been getting stronger as well. The day after the Federal Reserve’s announcement, gold jumped to its biggest one-day rise in three months. Gold prices are also getting support from options traders. Meanwhile, A poll carried out by Reuters showed most of the economists expect gold to continue its bull run in 2012. Commerzbank analyst Daniel Briesemann said “At the moment everything points to even higher prices, given the strong risk appetite, the better mood among market players, the strong equity markets and the weak dollar”. Analyst at Barclays Capital, Suki Cooper said “Coupled with continued central bank appetite for gold, the broader macro backdrop remains conducive for gold price gains, given negative real interest rates, concerns over longer-term inflationary pressures and uncertainty surrounding the financial markets and economic outlook”. As fears mount that the eurozone debt crisis could trigger a global recession, all eyes are on Germany to take an even stronger lead in the rescue efforts. European leaders and the International Monetary Fund want Germany to increase its contribution to the European Stability Mechanism. But lately German Chancellor Angela Merkel disappointed these expectations. Neither eurobonds nor more stimuli that would see the ECB print more money are acceptable options for Germany. The forex market investors think the problem is that the austerity that Germany wants will push Europe into a deflationary death spiral, then the EU economy will contract and tax revenues will fall. By gaining direction from the fundamentals in the economy allows us to enter trades with a solid understanding. 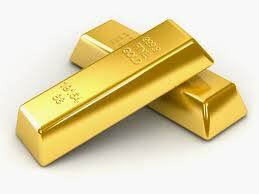 Gold in the forex market is known as XAUUSD. It is paired with the USD. Therefore when the US release such news in regards to it’s interest rates. We can expect pairs that is paired with the USD to rise. Especially GOLD. Check out our online forex trading AFM winning Forex Price Action Forex Course where i teach you the exact FULL Forex Trading Strategies and forex trading system that i personally use to be consistently profitable.